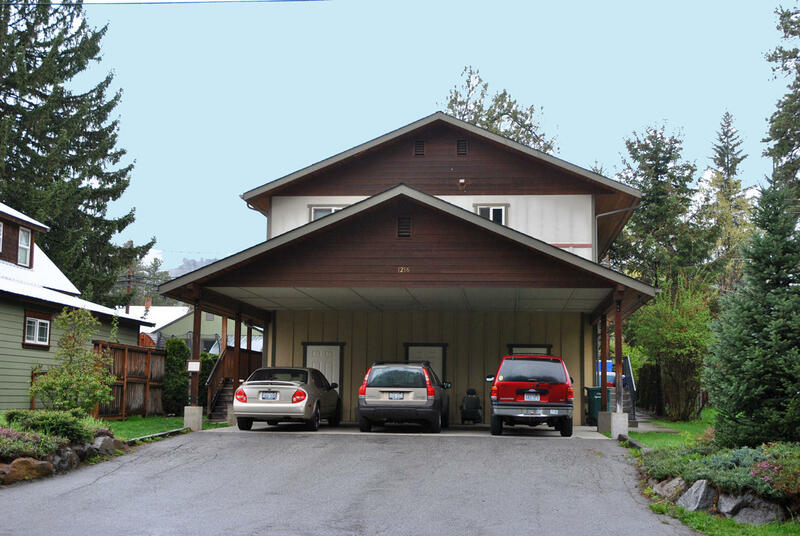 Central city location...Triplex with 3 Townhouse units with double wall construction. Long history of monthly rental. ..Covered entry deck and back porch..Ample parking(one covered)..Generous storage (interior and exterior)..Each unit is 3 bedrooms, 1.5 bath. Laundry on the main floor. 2 units have long term tenants, the third will be available as owner is moving out with the sale. Live in one and rent the others or utilize as an investment property.